Many think the best way to save on air conditioning is by turning it off. In a state like Florida where temps are consistently warm around the clock and humidity is high through much of the year, turning your system on and off can make it work harder not smarter, costing you lots. Here are a few tips for a lower AC bill. 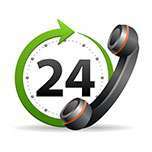 There are a number of problems with your AC that can cause it to operate inefficiently. When it’s operating inefficiently it will work harder to maintain your comfort level, which means you’ll be spending more on your monthly bill. Get an air conditioning tune-up twice a year to make sure it’s operating at maximum capacity. An air filter that’s clogged inhibits airflow and places stress on your AC. Change your filters based on the manufacturer’s suggestions and your bills will be less expensive than trying to operate a system with restricted air flow. When your filter is clogged, dirt and airborne particles may back up into your ductwork causing further inefficiency. A programmable thermostat allows you to keep things cool when you are home and at your most active. When you are asleep or away for more than 3 hours, there is no reason to be cooling air no one is enjoying. You can install an inexpensive one yourself for around $30. Top of the line models allow you to control temps from your smart phone and there are systems that will “learn” your preferences based on your settings for much more efficient temperature monitoring. Even a small two degree adjustment on your thermostat can lead to lower AC bills, so turn the temp up slightly and pay less. The sun warms things up nicely, which is great for cooler climates. In Florida, particularly if your home receives lots of afternoon sun, you’ll want to close the blinds. If the sun warms up the area of the room where your thermostat is, it can cause a false reading that is warmer than the actual room. This causes your AC to go on more often than is needed. Keep things darker and they’ll be cooler. If you can’t stand that closed up feeling, opt for solar screens or window films that can intercept as much as 70% of the solar energy before it enters – and warms up – your home. Ideally you want to keep the cool air in and the warm air out. If your house if not well insulated, all of your cool air is dissipating into the neighborhood. Check your windows and the seals around them, and also the quality of the insulation in your home. If your home is over five years old, it could require additional insulation. Planting shade trees outside of your south- and west-facing windows can help keep things cooler in your home. According to the U.S. Department of Energy, shading your AC can save you up to 10% on your electric bill. However, be careful that these plants do not block critical airflow in the local area. Heating and air conditioning costs contribute to about 43% of your monthly utility bill. Use these energy-saving measures to save on air conditioning bills and make sure your system is working efficiently. 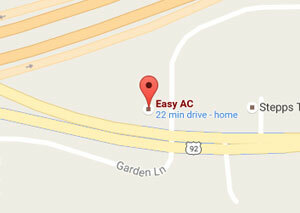 Call the professionals at Easy A/C today to schedule a check-up.